A key part of Althamer’s work is indeed based on breaking down the boundaries of an institution, or at least rendering them fluid, and this occasion will feature a continuation of the project “Common Task”. 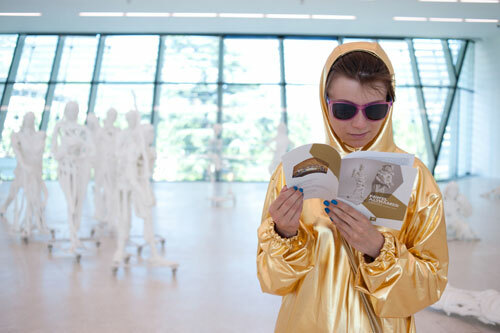 This project saw a group of people from Brodno and friends of Pawel’s, all dressed in gold clothing, travelling on a gold plane to Brasilia, Brussels, Oxford and Mali. On this occasion a gold bus will take the Polish group to South Tyrol and then on to Munich. The sculpture project and performance will lead to the publication of the artist’s first catalogue in an Italian institution. 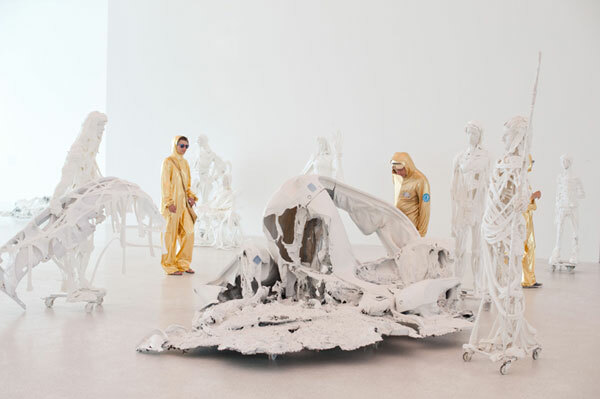 Pawel Althamer’s solo show at MUSEION and at the Sammlung Goetz in Munich will be connected by the performance ‘Common Task, Bolzano (2012)’, curated by Andrea Viliani.